How to Check Exide Life Policy Status? 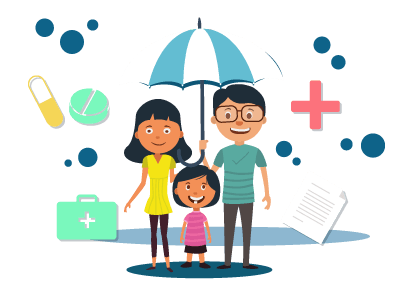 Exide Life Insurance is one of the leading insurance companies in India and is known to provide a wide range of insurance products and cater to the various needs of its consumer. Exide Life Insurance like other players in the insurance sector has understood the importance of the internet and how it can make it comfortable for its customer to conduct business with the insurance company. If you have a secure internet connection and a smartphone or a laptop, you can easily check the status of your policy. We will look at some of the methods that you can use to check your policy status. Visit the Exide Life Insurance official website. Click on ‘Customer Login’ which is located on the left-hand side of the page. You will be directed to a separate page. Enter your ‘Username’ and click on ‘Submit’. You will be asked to enter your password, following which you will be able to log in to the portal. You will be directed to a separate page. Click on ‘Register Now’ located just beside ‘New User’. Enter your policy number, followed by your date of birth, and mobile number. You will have to enter the code as shown exactly on your computer screen for security purposes. Click on ‘Submit’. You will be then asked to create a username and password, through which you can log in to the portal. There can be times when you may not be able to remember your Login ID or password due to which you may not be able to enter the portal. There is a certain process that you can follow to retrieve your login ID or create a new password after which you can enter the portal. The steps that you must follow in case you forget your login ID or password are given below. You will be directed to a separate page. Click on ‘Forgot Login ID’. You will be directed to another separate page. Enter your policy number and date of birth. Click on ‘Submit’. You will be sent your Login credentials on your registered email ID or mobile number. You will be directed to a separate page. Click on ‘Forgot Password’. You will be directed to a separate page. Enter either your ‘Login ID’ or ‘Policy Number’, followed by your date of birth. Click on ‘Submit’. You will be then asked to create a new password, after which you can enter the portal. Hover your mouse over ‘Customer Service’. Under ‘Customer Service’, click on ‘Self Services’. You will be directed to a separate page. Enter your date of birth, policy number, and mobile number. Click on ‘Generate OTP’. You will be sent a ‘One-Time Password’ (OTP) on your registered mobile number. Enter the OTP and you can then avail the ‘Self Service’ facility. You can use the Exide Life Virtual Assistant which is a chatbot designed by the insurance company. You will find it on the official page of the insurer. On clicking it you can choose your prefered language and either click on ‘I want to buy a new policy’, or ‘I am an existing customer’, or you can simply start typing your message in the message box. You can input your query as a message provided that you have a microphone. The assistant will then help you out with your query. You can use the insurance company’s Twitter handle to help you out in case of any query. Visit the official twitter page of the insurance company. All you need to do is use the handle @ExideLifeCares and write ‘Hi’ or ‘Hello’. Someone will get in touch with you where your interaction will be taken to a secure private message box (DM). You will have to mention your policy number and date of birth for one-time registration process. You can then get your queries cleared related to various services offered by the insurance company. For policy servicing, you can call the toll-free number 1800 419 8228, or call the number +91 80 4134 5444 from 09:00 a.m. to 07:00 p.m. from Monday to Saturday. You can send a mail to care@exidelife.in in case of any policy-related queries. You can also use the ‘Write to Us’ section. Visit the ‘Contact Us’ section. Click on ‘Yes’ if you are an existing customer and ‘No’ if you are not. Enter your name, mobile number, and Email ID, followed by the description in the ‘Comments’ section. If you are an existing customer then you will have to enter your policy number. Click on ‘Generate OTP’. A One-time Password will be sent to your registered mobile number. Enter the One-Time Password and submit your query. You will receive a response. For example, if you want to know the details of your fund, then you will have to type Fund <1234567> where 1234567 is your policy number and send it to 09880888228. You can use the Branch Locator service to locate the nearest Exide Life Insurance branch near you. An Exide Life Insurance Branch is open from 10:30 a.m. to 03:30 p.m. from Monday to Friday and 10:30 a.m. to 01:00 p.m. on Saturdays. Under the ‘Contact Us’ section click on ‘Locate Our Branch’. You will be directed to a separate page. Enter the name of your city and press enter. You can then locate the nearest Exide Life Insurance branch on the map. Hence, it is extremely easy to check the status of your policy if you are an Exide Life Insurance customer. All you need is a secure internet connection and a laptop or a smartphone and you can check the status of your policy from the comfort of your house.